We’re all aware of the importance of sleep, but it’s not always easy to drop off naturally and get a full eight hours. Take a look at our expert advice on curing sleepless nights to achieve better quality sleep and fast. Tense shoulders or a knot in your stomach could be a sign of stress and could keep you awake. “Using a relaxation technique called a tension body scan helps you to understand where you hold stress in your body and allows you to release it,” says Fiona. “When your body is relaxed, it helps your mind relax which will help you to fall asleep.” All you have to do it is squeeze and relax each muscle in your body. Start at your toes and move up your body, turning your attention to each part of your body in turn. “You can simulate the same eye movement you experience in sleep by rolling your eyes upwards and back,” says Fiona. If you do this three times you will automatically feel yourself going into a deeper relaxation. What do your dreams really mean? Ever wondered what the significance of your dreams are? Find out here what your brain is trying to tell you and how to act upon your dreams. Why do I wake up so early? Do you often wake up very early? Even though you’d like a bit more of a lie in? Find out here what the underlying cause could be that’s getting you up before you’re ready to wake. If you suffer from back pain, arthritis, headaches and fibromyalgia, getting to sleep can be extremely difficult. Furthermore, it’s even harder to get up in the morning if you’ve been sleeping on an uncomfortable mattress. Here’s our top picks of the best mattresses on the market to improve your quality of sleep and help you wake-up feeling fresh in the morning. This mattress is great for those who may find it hard to reach a comfortable temperature when in bed, using the latest technology in breathable cotton fabrics. The smart memory foam makes the bed firm enough to support you whilst hugging the contours of your body. Plus, with a 365 night trial, you’re covered to get your money back if you don’t like it. Nectar mattress, available from www.nectarsleep.co.uk with prices starting from £399. The triple layered foam supports your body, even if you’re someone who moves a lot in the night. Leesa are also very keen to stay sustainable and do their part for the community. For every 10 mattresses sold, they donate one to a homeless shelter and for every mattress sold, one tree is planted. This has amounted to 30,000 mattress donations and 135,000 trees planted. Leesa mattress, available from www.leesa.co.uk with prices starting from £450. Smart TEMPUR mattresses were first developed by NASA in the 1970s to help support astronauts during lift-off. The science behind the mattress helps people to feel weightless when they sleep and help them to fall into a deep sleep. Even tennis champion Serena Williams has endorsed TEMPUR, claiming her mattress helps her get her all important quality sleep to optimise her performance on the court. It might also be time to give your bedroom a make-over, making changes that will benefit your comfort and declutter so you can sleep soundly. From avoiding injuries when waking up in the dark and walking round to clever lighting, here’s our top tips on making important changes to your bedroom. If you sleep on your back and suffer from back and neck pain or arthritis, the Mediflow pillow is great for ensuring your neck stays in the correct position whilst you sleep and isn’t being pushed too far forward or back. You can even adjust the pillow to give it your desired level of support by changing the amount of water you fill it with. It’s well worth investing in a decent pillow to sleep on at night, especially if you suffer from back and neck pain. This luxurious soft pillow is a brilliant option for side sleepers who need added comfort and support in bed, using the latest technology to wrap around the curves of your neck and head. The pillow also comes with a three year guarantee if you’re not satisfied. TOP TOP: Make sure you give all new pillows and mattresses a 2-3 week trial period before deciding whether or not to return it. It can take some time for your body to adjust to a new sleeping position. “Avoid eating too late at night, especially fatty foods, sugar, caffeine and alcohol,” says Emma. “Wear loose, cotton clothing and keep your room cool. Sage can be helpful for hot flushes and night sweats. “ Try A Vogel Menoforce Sage Tablets, £12.99/30. 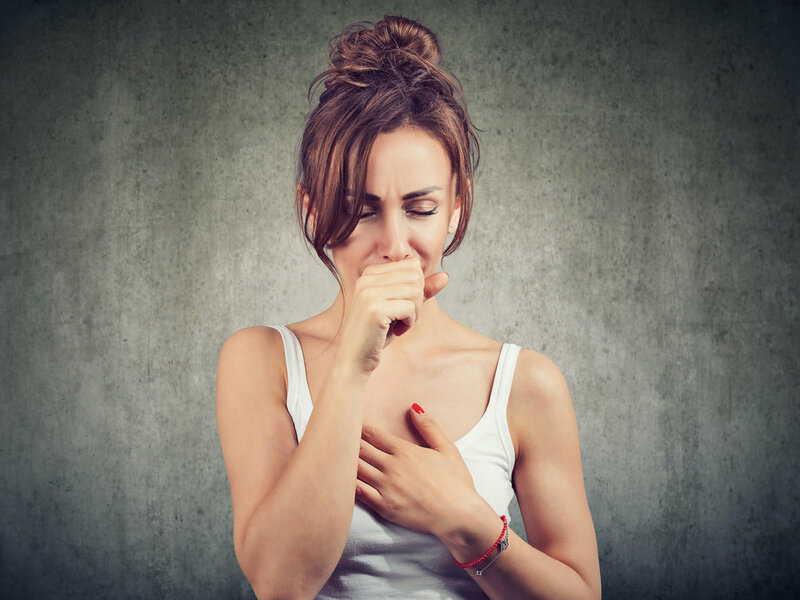 “Acid reflux is a common reason for coughing at night,” says Emma. “This occurs when stomach acid escapes through the lower oesophageal sphincter and moves up into your oesophagus. Not only is this uncomfortable, it can trigger the coughing reflex. Reflux can be worse at night because lying down makes it easier for stomach acid to flow the wrong way.” Other conditions, including asthma and viral infections, can also cause night-time coughing. in the stomach to soothe acid reflux. “Drink plenty of water, which is crucial for good circulation,” says Emma. “Stay active; exercise increases your heart rate and gets blood pumping, and as your muscle strength improves so does your blood flow. Make sure your diet is high in fresh fruit, vegetables, nuts and seeds, and top up with a magnesium supplement to boost your levels.” Try Holland & Barrett Magnesium Tablets, £9.99/250mg. Drink plenty of water throughout the day, which is crucial for good circulation. 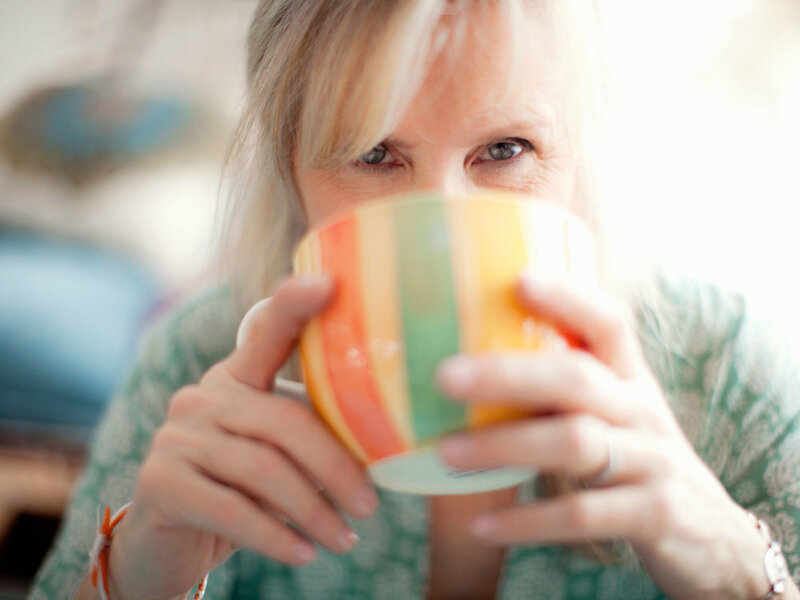 Lack of sleep is a very common problem amongst women going through ‘the change’ with waking up in the early hours and not being able to drop back off is a constant battle for so many of us during menopause. Not only can this be terribly frustrating but it leaves us feeling totally drained and exhausted during the day. Recent research from the US Centers for Disease Control and Prevention found that more than half of peri- and postmenopausal women got less than seven hours of sleep per night, proving that this is a real universal issue for women over a certain age. So what can we do to combat this problem? A few hours before you want to fall asleep, ensure the lighting around you isn’t too offensive and quite dim. It might be worth investing in some dimly lit table lamps or adjustable light switches. Avoid any screen time as this will keep your brain alert. This includes TV, computer, tablet and phone screens. Instead opt for an activity that will calm you down, such as reading a book, doing a jigsaw or meditation. Try not to consume caffeine and instead opt for a cup of hot milk before bed and a light supper if you feel hungry such as toast or a ham sandwich. It’s also important to only use your bed for sleep, so for example reading in bed could keep your brain alert after you’ve put it down as you’re still in the same environment. Instead, read in a comfy chair in a different room before retiring to your bedroom. This helps your brain understand that the bed is just for sleeping. If you’re really struggling with menopause symptoms, including lack of sleep, it might be worth considering hormone replacement therapy or HRT. In recent years, HRT has received some bad press, being linked to breast cancer, dementia and many other life threatening diseases. Luckily, these studies have been proven to be flawed and inaccurate and now, scientists believe HRT could be the best way for women to deal with the menopause and improve general health. If you’re finding the symptoms of menopause difficult to deal with, book to see your GP and find out what options are available to you. Should I be taking hormone replacement therapy (HRT)? Keep yourself active in the day to increase your fitness levels and tire yourself out before bed. Doing regular exercise can do wonders to your sleep pattern, even if it’s just two brisk walks per day with your dog. Quick and easy workouts you can do at home! Do you find it hard to drop off? Or do you wake up regularly in the night? Let us know over on our Facebook page and Twitter Page. Can you spot the signs of breast cancer?